The best is grown here. Enjoy Canadian Beef. For more than 55 years, Grand Valley Fortifiers has been helping to feed the beef industry. GVF is now actively providing Beef Farmers in Ontario with advanced animal nutrition products for improved human health. 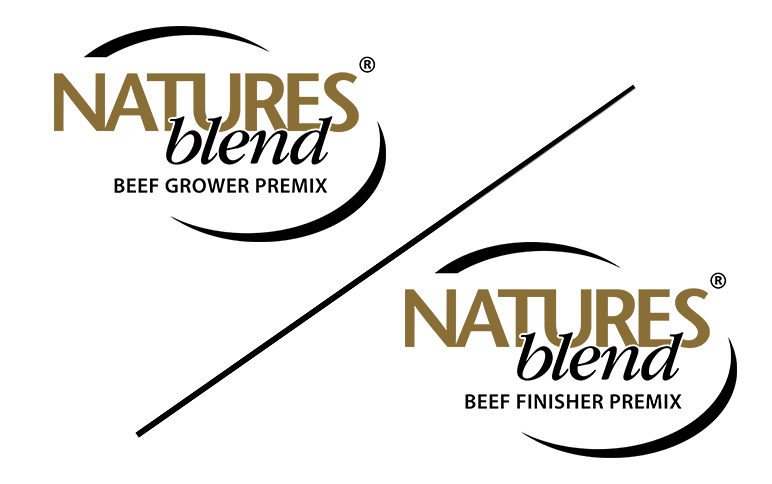 While our range of beef nutrition products is continually updated and improved our goal of enabling producers to obtain the best possible production, at the lowest possible cost, remains the same. Learn more about our beef products below. Take your feed lot herd performance to the Max. The MaxForce™ line of beef premix is designed to nourish your cattle from receiving, right through the grower and finisher diets. Available with Chelated Minerals and B Vitamins for added health and performance benefits. Use MaxForce™ to get the most out of your herd. Provides all required minerals to supplement growing beef cattle. Provides all essential trace minerals and vitamins, including selenium and vitamin E, at levels for maximum health and performance. Added flavour and sweetener to enhance feed intake. Plus Availa ®Zn and Biotin for reduced lameness and increased average daily gain and feed efficiency. Reduced incidence of foot rot and lameness and increased average daily gain and feed efficiency. Improved hoof horn growth and reduced claw disorders; energy metabolism and increased average daily gain. A trace mineralized premix ideal for economical returns of stocker cattle on a pasture growing system, available in plain and medicated. An economical choice for all stages of production in Beef Cattle. Provides all the essential vitamins and minerals for optimal production, available in plain and medicated. An enhanced product to achieve higher levels of animal health, reproduction and growth that can be used in conventional and RWA programs. Provides all required minerals and vitamins to supplement nursing cows, dry cows, bulls and growing calves on pasture or lush forage diets. Developed to fit the unique needs of the beef feedlot. Formulated to optimize profits at the farm gate making use of on farm feeds and alternative feed sources. Can be fed in conventional and RWA programs.